Live broadcast recording on December 19, 1978, at Columbia University Radio WKCR-FM, NYC. This great 2 CD set consists of a reissue of the original LP session “Livin’ Right”, long out-of-print and an earlier never-before released session with Denis Charles. 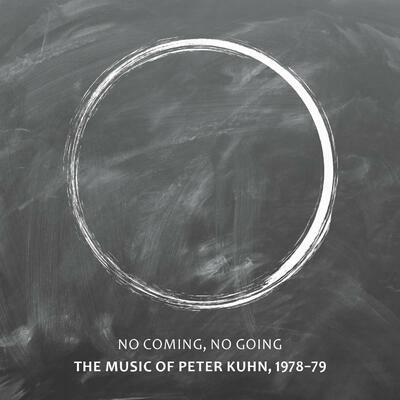 Peter Kuhn was one of the more mysterious early Downtown musicians who recorded on a few early Downtown sessions (like Frank Lowe’s ‘Lo & Behold’ from 1978) and had three albums under his own name on Hat Hut, Soul Note and his own Big City label, all released in the late seventies, around the same period of time. After that Mr. Kuhn seemed to disappeared from the Downtown scene for many years. Thanks to the lengthy liner notes here, which Mr. Kuhn wrote, we find out more about his life then and since. The original LP was recorded in December of 1978 at WKCR-FM and Mr. Kuhn organized a formidable quintet mostly with musicians we know well by now but weren’t well-known at this point. The first disc is the reissue of ‘Livin’ Right’, with a clarinet led, two trumpet & rhythm team quintet. I was fortunate to have caught Japanese trumpet madman. Toshinroi Kondo, on several occasions in the early eighties with Fred Frith, Henry Kaiser and others. The other trumpeter here, Arthur Williams is much less well known although he did work with William Parker & Jemeel Moondoc. This was the early days of William Parker who was then involved with several seminal bands like Muntu and Commitmnent. The legendary drummer Denis Charles moved to the US in the fifties and worked with Cecil Taylor, remaining in NY ever since. He is a mostly well-regarded yet under-recorded drummer, a true legend. Other than Perry Robinson (& Gunter Hampel), who was a friend of Kuhn’s, there were not very many great clarinet improvisers on the Downtown scene at that point. Mr. Kuhn plays clarinets only on this album. This disc opens with a great drum solo from Denis Charles who always had his own unique sound: exuberant but never flashy. The quintet sounds like they were inspired by the original Ornette Quartet although that clarinet & 2 trumpet frontline doesn’t quite sound like any other. The interplay between the clarinet and bass & drums is especially tight and free-flowing, expanding and contracting with ease. The trumpets also sail in and out, creating a great dialogue with several lines moving tightly together. Midway through “Manteca, Long Gone…”, there is a haunting section for bass clarinet, muted trumpets, arco bass and hushed drums which sounds like we are emerging from a dream. There is also a long duo section for bass clarinet and bass which unfolds slowly and tells a long, fascinating story. Eventually the trumpets reappear and begin or add to the heated discussion already taking place. This album was/is a long-forgotten classic from the early Downtown days. So glad it is back in print for all us music freaks to hear. The second disc here is another long lost gem, a duo concert from September of 1979 featuring Mr. Kuhn on B-flat & bass clarinets & tenor sax and Denis Charles on drums. Right from the gitgo, the clarinet and drums play together perfectly, matching each others notes, spinning lines tightly and quickly. Mr Charles, who was born in the Virgin Islands, brought his own Caribbean style of drumming into the free jazz domain. Mr. Charles takes a long, wonderful drum solo on the first piece, showing that he is integral to the success of this spirited duo. In the late senates when this was recorded there were few musicians featured on bass clarinet. Both Gunter Hampel and Peter Kuhn had their own, distinctive approaches. Mr. Kuhn plays quietly and thoughtfully at times, while occasionally bending and twisting notes into odd shapes. Just 12 years after John Coltrane recorded his seminal sax & drums duo album, ‘Interstellar Space’ (1967), this duo also show how much a formidable duo can do, exploring several spirited orbits together. Extraordinary! This is one of the best historic recordings of the year! Not to be missed.